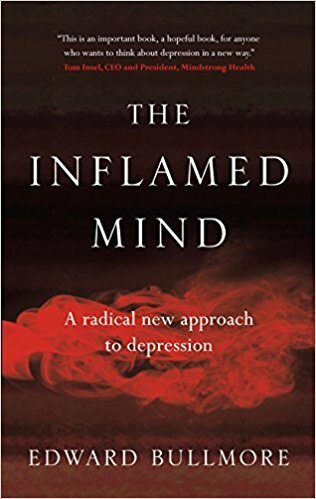 This morning the author of The Inflamed Mind, Edward Bullmore, was interviewed on Radio 4 about his book, just out this month. 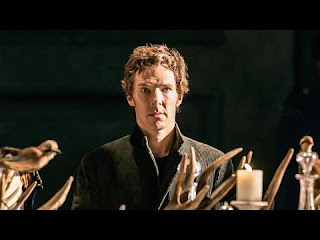 He says that it may be not merely that one is depressed because of the effects of being ill, but that inflammation as such can cause depression. That at any rate was my understanding from the interview. 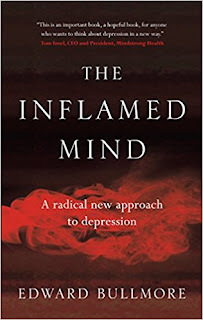 Bullmore described having 'flu and feeling, as he put it, 'blue' - so far so ordinary - but then speculated upon whether it is the inflammatory process rather than just the symptoms which cause that low mood. Apparently 30 per cent of depressed people have raised inflammatory markers when tested. Of course as stated on the programme, association does not prove causation, but it's an interesting idea which could lead to new therapeutic interventions. Then I realised that I was coming down with a cold or some-such mild viral illness. I told myself that it was my body that was ill and that I was not depressed at all. That I did not feel like doing the things I normally enjoy was merely that my body needed to rest. All I had to do was accept the situation and understand the needs of my body. By re-framing the situation in this way I was immediately free of the depressed mood. Now of course I am not claiming that this approach will cure severe depression. It may be, as others have said before, that depression is a sign that there is something not right, something needing to be fixed, and that might be something deep, long-lasting, emotional, and not easy to remedy. Even so there may be merit in treating depression as a signal that something needs to change, rather than only a condition to be suffered.